Nichia, the leading Japan-based LED Company , held a meeting in Taipei, Taiwan and shared its latest lighting technologies in automotive, medical, and horticultural applications. 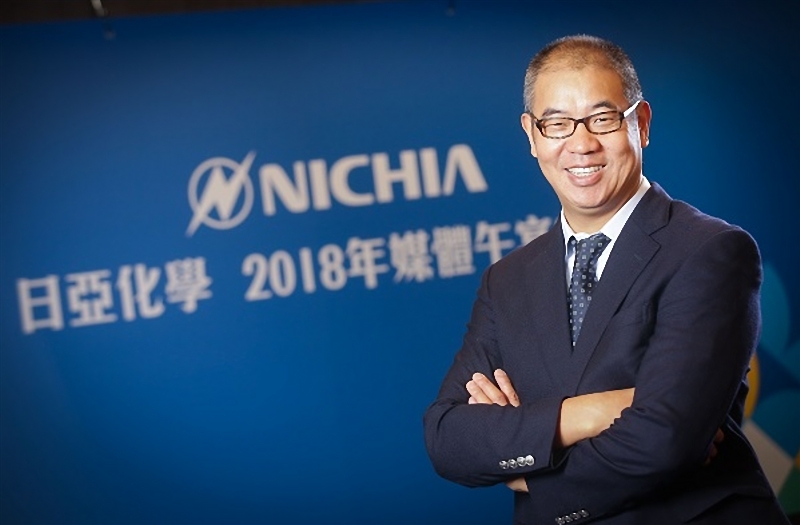 Chun Chia Tai, Chairman and President of Nichia Shanghai and Taiwan Offices, said they always kept improving and working on innovative products, horticulture lighting and ultra-high color rendering white LED were some of the most important products Nichia was focusing on. Honored with the prize of 2017 Top 100 Global Innovators, Nichia will put more efforts into technology development and innovation to create market leading products with patents. The company also revealed its plan to establish a new company in China for providing more complete solutions for clients including assembly, IC design, and optical lens development. Takashi Sakamoto, Principal Technical Officer of Optoelectronics Products at Nichia, introduced three world-leading technologies of the company and their current updates and applications. For backlighting, the company developed the new LCD backlight product in the name Nichia Thin Side View (NTSV) for mobile application to compete with OLED. Nichia developed the ultra-high color rendering white LED "Optisolis" whose its spectrum is very similar to sunlight. Optisolis applies Nichias blue LED chips and the phosphor technology which helps to reduce light influence on objects and achieve excellent eye comfort. Currently the company has established relationships with medical care institutions and will be shipping a small quantity to clients in Europe and the U.S. The technology can also be applied to horticulture lighting as Nichia has set up a relevant factory in Shanghai,China. Automotive LED light is also one main market for Nichia. In 2018, Nichia has introduced LED headlights with high technology such as Adaptive Driving beam LED and Daytime Running Light LED (DRL). The company prefers developing high performance LEDs for headlights with sensors and other applications. Sakamoto showed the new "GigaWhite" LED which is very small and can be easily applied in LED headlight module to meet different designs requirements. According to the company, this newest type of product is scheduled to enter the market by 2019.